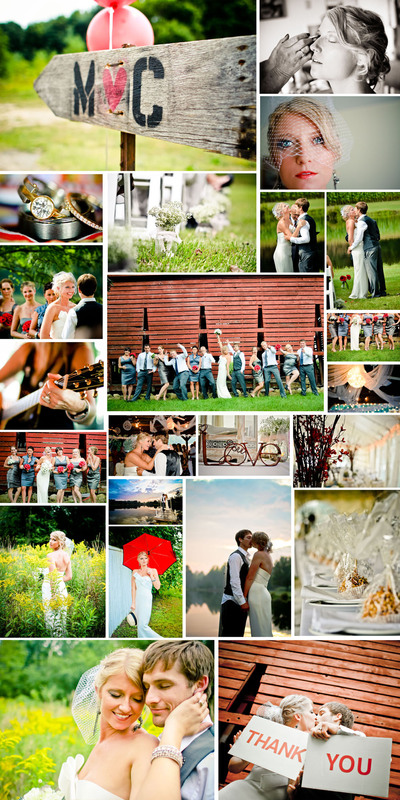 Carrie & Mitch tied the knot in September in the beautiful countryside of Southwest Michigan. I’m not sure what I love most about this wedding—the simplicity, the pops of color, mis-matched bridesmaids dresses, the vintage details or that dress! I love that all of the decorations and cute little DIY touches were created by Carrie and her mom & sister. Way to go girls! Another fun detail—Carrie designed her own wedding ring while on vacation—it’s one of a kind. The ceremony and reception took place at a beautiful private residence in Dowagiac, Michigan and all of the lovely photos above were captured by Brittney at 430Studios.